The final schedule and abstract book are now available. February 17th: arrival in Eilat for dinner (around 7 pm). February 20th departure (after lunch around 2 pm). The workshop “Probing Coherent Superconducting Hybrids at the Nanoscale“ is organized in the framework of the COST action CA16218 and will focus on recent advances in local probes for the investigation of nanoscale hybrids. We will bring together leading research groups in order to stimulate discussions between device developers, experimental techniques for probing quantum coherence in superconducting devices, and theoreticians. The focus will be on local probes, such as scanning tunneling microscopy, scanning SQUID microscopy, local temperature sensors, transport of nanoscale devices, specific heat measures etc. Although the focus will be set on imaging techniques which are able to probe superconductivity at the nanoscale, the workshop is also open to experimental and theoretical works which deal with systems where the superconducting condensate is confined to or interacting with nanoscale domains. 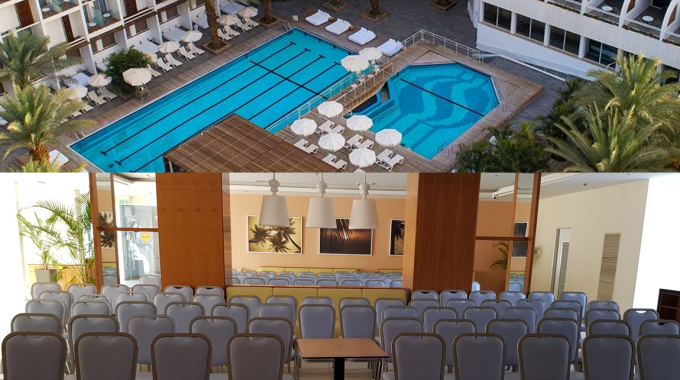 The meeting will take place at the Isrotel Sports club site close to the city of Eilat, in Israel. We will welcome participants during the afternoon of February 17th . The scientific program will start on the 18th in the morning and continue till February 20th around lunch time. The Workshop will be open to all related subjects, with focus on the following topic from a local probe point of view. Unconventional superconductivity and proximity phenomena in multi-band, magnetic, topological and low-dimensional materials. Coherent phenomena at mesoscopic and nanoscale (including vortex physics). Challenges in theoretical modelling of coherent superconducting hybrids. Applications benefiting from quantum coherence of superconducting hybrids. We seek the participation of PhD students and young postdocs that are working on one of the themes of the Action and on other related subjects. All interested participants should submit an application before December 1st 2018 using the form available below. No registration fee will be raised for participants of the countries included in the COST Action. The COST Action will, in addition, support a limited amount of participants covering travelling, full board and accommodation. To optimize funds, we will communicate the level of support together with abstract acceptance during the first week of December 2018. – 160 Euro per person/night including full board in single room. – Payment by credit card: You must write an email or call Galit from Ofir tours (tourbo.travel360@gmail.com, +972-8-9391050) and indicate full name, institution, arrival and departure dates and give them the details of your credit card (number, expiry date and security code in the back). Eilat is Israel’s southernmost city. Located on the red sea it combines desertic landscape and unique beaches. The beaches are known for their calm water, snorkeling, diving and their coral beach natural reserve. For people having more time Jordan and the beautiful archeological city of Petra is a drive away. There are two international airports with connections to a few European cities. One is known as J. Hozman airport (ETH) is located in the downtown area and the other known as Ovda (VDA) which is 50 min away from Eilat. A service of shuttle is available and the participant should reserve their tickets separately (https://eilatshuttle.com/). Since these airports are smaller we recommend you talk to our travel agent Ofir Tours (tourbo.travel360@gmail.com). He is the travel agent which is already in charge of the hotel reservations.